It’s time for the annual Palapas auction!!!! 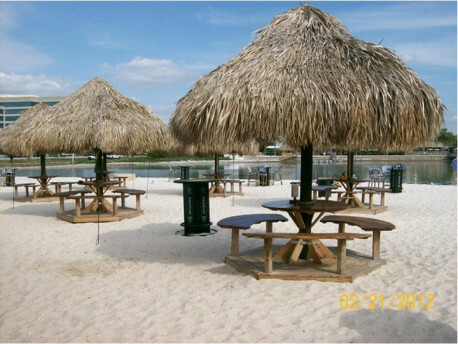 There are SEVENTEEN of these wonderful Palapa Tables on Whiskey Joe’s Barefoot Beach and one could be yours, for exclusive use during the entire Music on the Bay 2019 Event, Thursday February 28 through Sunday March 3. Over 230 people were actively bidding in the final minutes of the Music on the Bay 2018 Auctions, many saving their bids to the very last seconds. The majority of Palapas were won by the people who went big early! This Auction is managed just like eBay, seventeen individual auctions on seventeen identical items. Therefore multiple people may be bidding on multiple Palapas’ at the same time. 12:00 am eastern time on Feb 23, 2019. 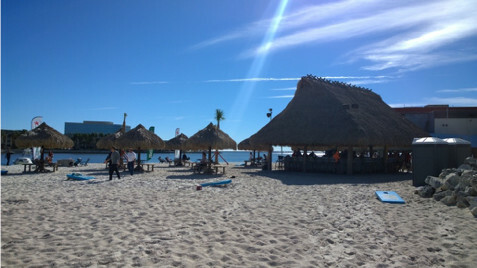 In a change starting this year, attendees who paid $1,000 for a Palapa the previous year are offered the ability to reserve the same Palapa for the current year, prior to the opening of bidding. Winning Bids will be announced on Feb 23, 2019. Please bring a check made out to Shriners Hospitals for Children – Tampa. In memo indicate Mobile Radiology Unit, and the MOTB committee will pick them up on Friday between 10am-noon. 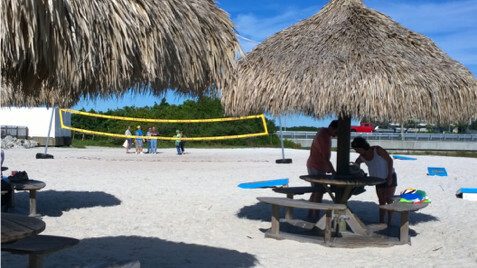 If you have a group of people bidding together to pay for one Palapa, please consolidate into one check. MOTB will give one (1) 2020 MOTB registration and one (1) entrance to the 2020 “Music Never Ends” Thursday evening Band Jam per “Buy It Now” Palapa. Gather a group of your PHriends, think of a PHun name and share your Palapa. 1 = Palapas #01, 2 = Palapas #02, etc. Remember, you are bidding on the individual Palapa. View from Three Olives stage area! 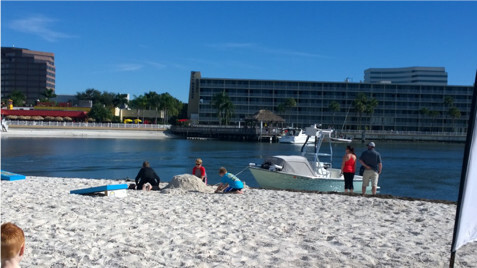 View of host hotel across the bay inlet! Not included in the photos and layout are the food tents, mini mart, merchants, portable bars, auction and raffle tents. 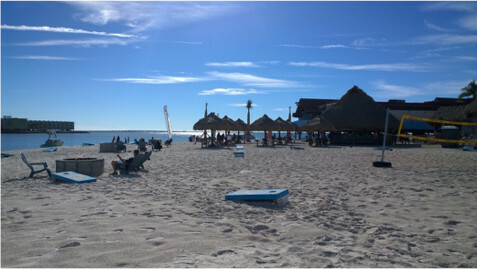 Your own personal Palapa for the entire MOTB event, Thursday February 28th through Sunday March 1st! Opening bid $300. Bidding increment minimum is $100. BUY IT NOW for $1,000!! !